Fibromyalgia Action UK has released a guideline on diagnosis and management of Fibromyalgia — a condition characterized by widespread muscular pain. It is important to take a careful history and to acknowledge the individual’s experience and description of pain. 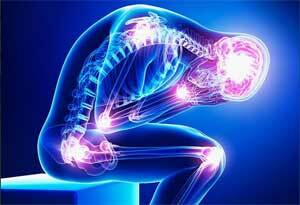 Patients with fibromyalgia do not look ill and do not appear clinically weak. Apart from the restriction of movement due to pain and the presence of the multiple tender points, physical examination tends to be unremarkable. Blood tests, X-rays, and scans will typically yield a negative result. New presenting symptoms will need to be considered and possibly investigated as they arise. Appropriate referral on to other healthcare professionals (e.g. rheumatologist) will need to be determined at this stage. Pain is considered widespread when all of the following are present: pain in the left side of the body, pain in the right side of the body, pain above the waist and pain below the waist. In addition, axial skeletal pain (cervical spine or anterior chest or thoracic spine or low back) must be present. Shoulder and buttock pain is considered as pain for each involved side. ‘Low back’ pain is considered lower segment pain. Many patients may find available medications either insufficient to control their symptoms or difficult to tolerate due to a high incidence of adverse effects. Therefore, all medications should be reviewed at regular intervals to monitor their efficacy. Awareness by patients that some adverse effects may resolve in time can encourage continuation with treatment. General intolerance to medication will dictate the treatment used. Individualised programmes of pharmacological and non-pharmacological therapy may be more effective than drug treatment alone. Management often involves the use of antidepressants and anticonvulsants. Low dose tricyclic antidepressants (TCAs), such as amitriptyline, are used commonly to reduce pain and improve sleep and fatigue. However, tolerability and durability of TCAs is poor. Selective serotonin reuptake inhibitors (SSRIs) can improve the symptoms of pain, fatigue, and depression. SSRIs can cause insomnia and restlessness, therefore, morning administration is recommended. Although better tolerated than TCAs, beneficial effects of SSRIs can be less reliable. Serotonin and noradrenaline reuptake inhibitors (SNRIs), e.g. duloxetine and milnacipran, reduce pain and improve physical function and quality of life. The benefits due to any of the antidepressants are independent of their effect on mood. Pregabalin and gabapentin also reduce pain and improve sleep quality, fatigue, and quality of life. Alternatively, tramadol, a centrally acting analgesic with SNRI properties, will reduce the pain; or pramipexole, a dopamine agonist, can improve pain, fatigue, function, and global well-being. Muscle relaxants, e.g. baclofen or tizanidine, can be helpful if muscle twitching or cramps accompany the pain. Poor sleep quality is common in fibromyalgia and hypnotics such as zolpidem improve sleep and fatigue, but do not modify pain. Benzodiazepines can be useful for initially re-establishing a sleep routine, but long-term use may have associated risks. Irritable bowel syndrome is a common co-morbidity. Use of antispasmodics, e.g. mebeverine or alverine, may reduce the spasm of hypersensitive bowels. Intolerance to wheat and/or dairy products and excess fiber may exacerbate the symptoms. A well-balanced diet is required, especially if complicated by medications causing weight gain. Symptoms of depression can arise from the fear and isolation of living with chronic pain. Coming to terms with living with fibromyalgia and adopting changes in attitude and lifestyle is often sufficient to deal with depressive symptoms. It is important to tackle any co-existing factors that may be contributing to the depression. In persistent cases, antidepressants can prove effective. Psychosocial factors play an important part in fibromyalgia and its successful treatment. Cognitive behavioral therapy aimed at helping patients to understand their pain and to develop coping strategies has been shown to be most effective. Patient and therapist collaborate to understand the specific difficulties that the patient is experiencing, recognizing unhelpful habits and behavior, and developing positive strategies for coping with the effects of fibromyalgia. Fatigue and poor sleep are common adjuncts to fibromyalgia, it can be helpful for the patient to manage activity in a way that uses energy wisely. Prioritising, planning, and pacing activity can make a significant impact on the amount people can do in the long-term.